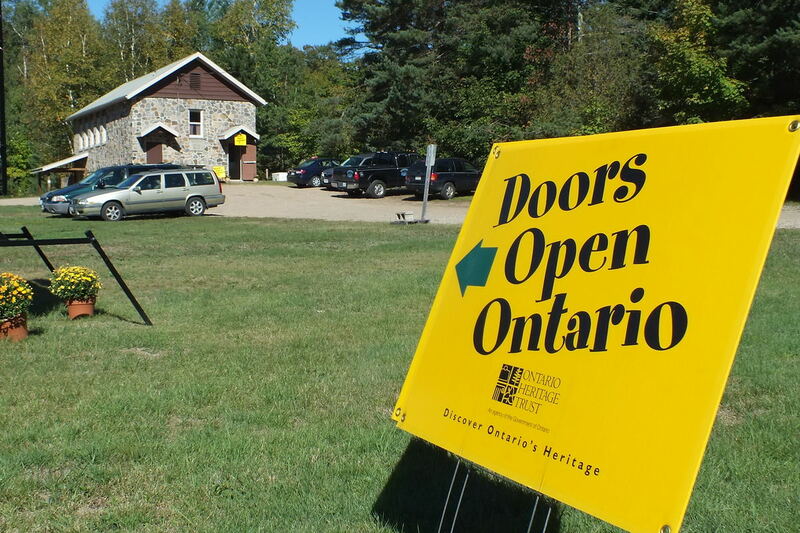 For the first time ever, the Community of Oxtongue Lake took part in Doors Open Ontario. For Bob and I, it was a thrill to attend , and as things would turn out, it was a total success! One of the buildings that the community opened to the public was the Oxtongue Lake Community Centre. This building was once the community’s public school, and during the 1960’s, over 50 children, including myself, attended this one-room schoolhouse. Today, it serves as the community centre, and the many local area children attend a much larger school just down the road. 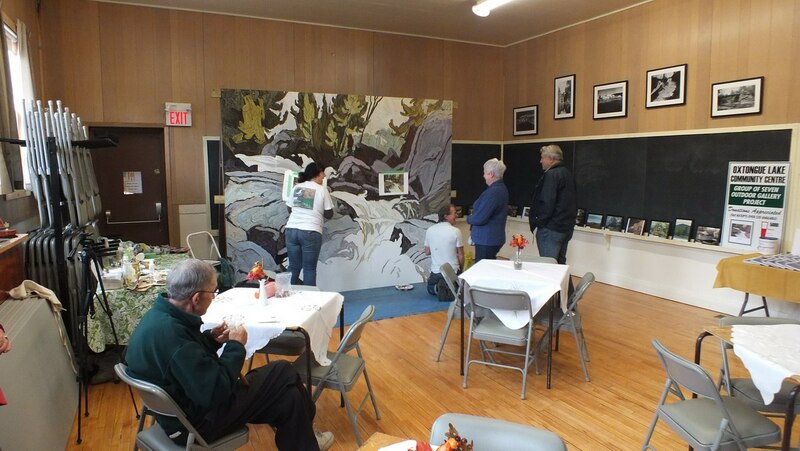 Over the course of the two-day Doors Open event at Oxtongue Lake, two members of “The Group of Seven Outdoor Gallery” came to the community to paint a large-scale reproduction of A.J. Casson’s painting, “Oxtongue River” (Ragged Falls) on behalf of the local community. It will be for public display on the exterior of the building in the coming days. The Group of Seven Outdoor Gallery, which is a free public art experience, is headed by artistic director Gerry Lantaigne. 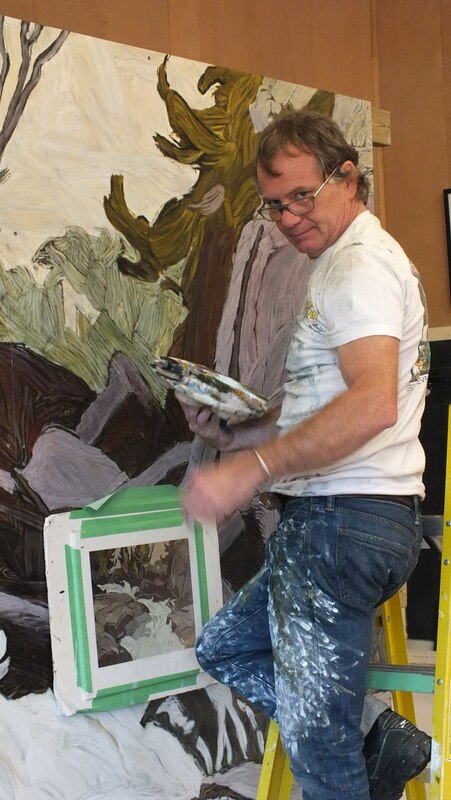 Gerry is a highly-trained commercial artist, and he is the key man behind the Outdoor Gallery collection. The Gallery’s collection of over 90 large-scale reproductions of the art of Tom Thomson and The Group of Seven now hangs in eight different communities from Huntsville, Ontario, to the village of Dwight, as well as the communities of Dorset and Baysville, and at places such as Deerhurst Resort, Port Cunnington Lodge, and The Portage Store on Canoe Lake in Algonquin Park. 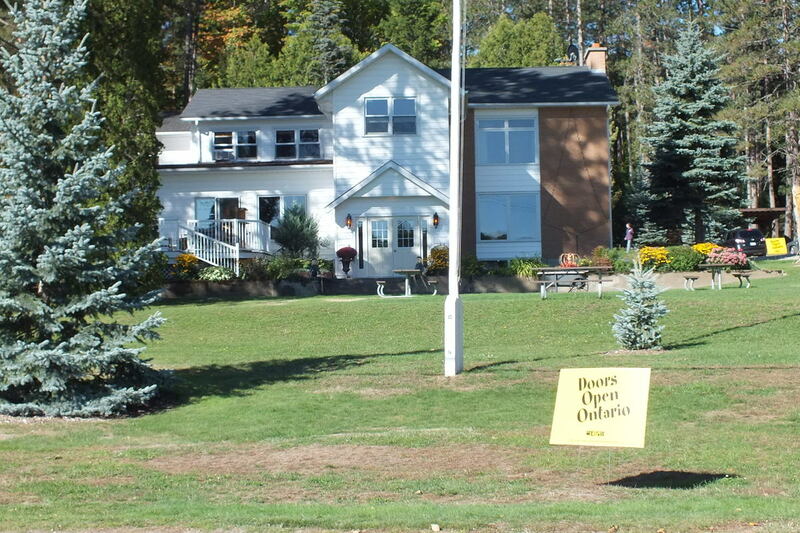 Oxtongue Lake fittingly will be the ninth community to display the works of art that were once created there. 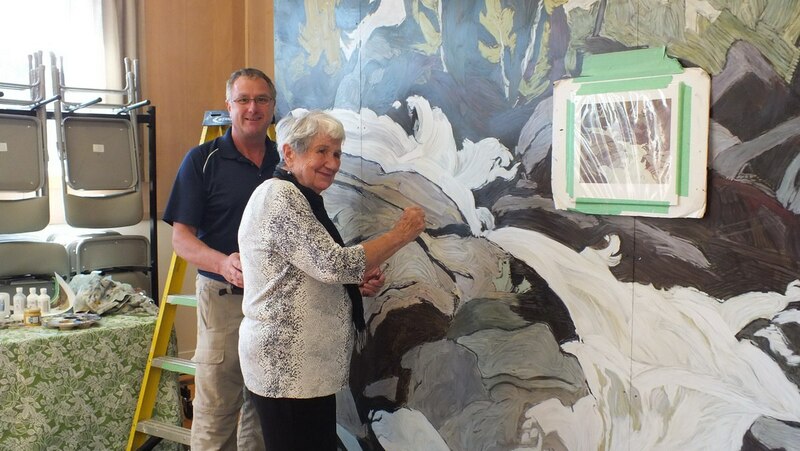 Janine Marson, who has assisted in the painting of other Group of Seven Outdoor Gallery works, is also a former resident of Oxtongue Lake. As a child, she actually met A.J.Casson in person, and as a young aspiring artist at the age of 8, she had a chance to stand and watch A.J. Casson as he painted the Oxtongue River from her father’s property. She, like Casson did, has a great love of nature, and it is reflected in her own accomplished works. It is obvious that, growing up in the world captured in the Group of Seven’s paintings, instilled this love of the natural world deep within her soul. One hundred years ago, in the spring of 1912, Tom Thomson, who is today considered one of Canada’s most important Landscape Artists, came to Algonquin Provincial Park and the Oxtongue River to paint for the very first time. During his short artistic life, Tom Thomson, like no other artist before him, captured on canvases, for the first time ever, a real sense of the nature of Canada. He conveyed the essence of wind, rain, lightning, water, trees, and plants. Thomson was born near Claremont, Ontario. During his short life, he was both an artist and an active outdoorsman. Tom loved to paddle his 16-foot canoe on some of Ontario’s most rugged rivers, including the Oxtongue River. It was said of Tom “that what a horse is to a cowboy, a sixteen-foot canvas-covered canoe was to Tom Thomson”. 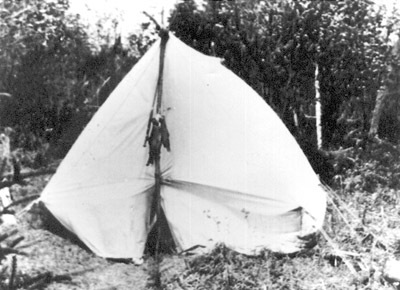 Beyond canoeing, Thomson also loved to camp in the very tent seen here in places such as beside the Oxtongue River. Tom camped on the Oxtongue with only Hudson Bay blankets, provisions, and a sack of flour. Once asked what he ate when camping, he said he lived largely on bacon, flapjacks, fish and potatoes. 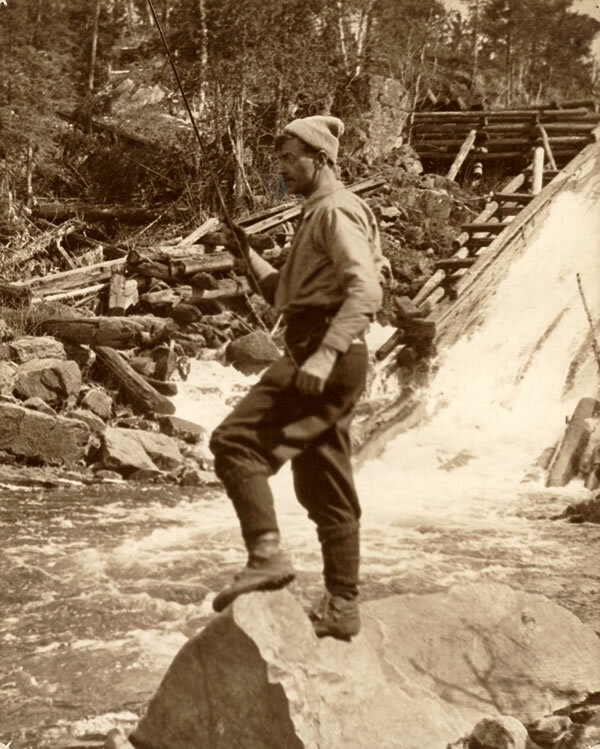 Tom Thomson was also a fly fisherman of exceptional skill. He owned and read an ancient book about fly fishing that was written in the 1600’s. In this picture, Tom is fishing on Oxtongue River just below Tea Lake Dam. Tom’s fishing skills became legendary; it was said that “he could cast his line in a perfect figure eight and have the fly land on the water at the exact spot planned”. Taking instructions from his time-honoured book, Tom was also able to make his own fishing lures. He actually painted his own bug designs on those lures to help him catch fish. This painting, which Tom titled “Northern River”, is believed by some to have been painted on Oxtongue River just around the bend below Ragged Falls. 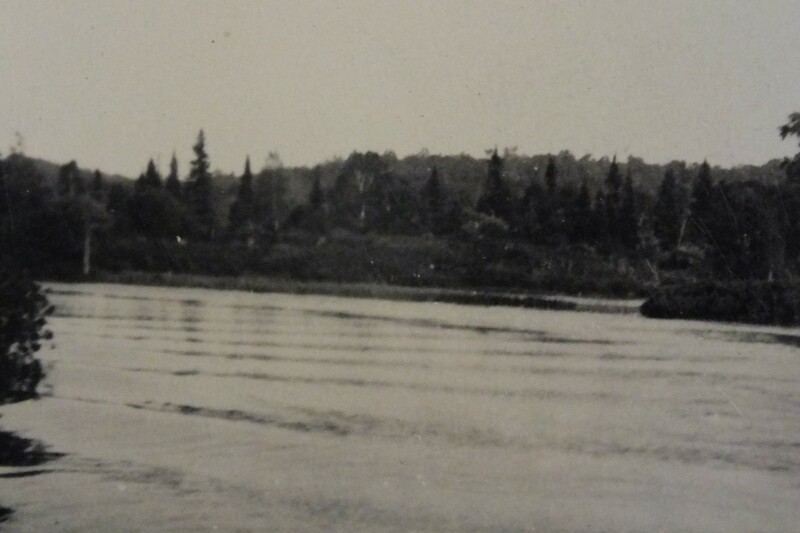 This is a picture of Oxtongue River in 1912 when Tom Thomson came to Algonquin Park for the first time. Tom produced more than 30 canvases and 100’s of oil sketches at various locations in both Algonquin Park and along the Oxtongue River. During 1912 to 1917, many future members of the Group of Seven would join Thomson on painting expeditions in Algonquin Park and also along the Oxtongue River. This painting group, including Thomson, became known as The Canadian Algonquin School. Among the members of this group were the future members of the Group of Seven who came to paint with Thomson in the Algonquin area. They included F.H. Varley (left side of picture), A.Y. 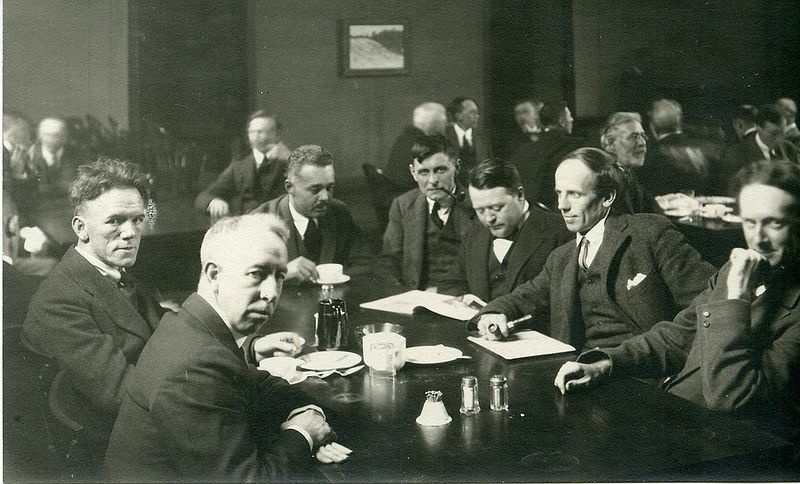 Jackson (right of Varley), Lawren Harris (centre – right of Jackson), J.E.H. 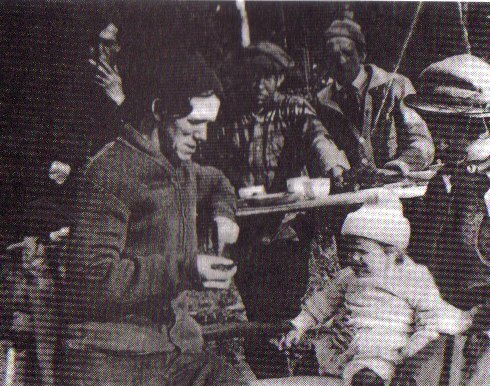 MacDonald (right side of picture), and Arthur Lismer (left of MacDonald). In 1914, Tom Thomson, on the left of this picture that was taken in Algonquin Park, was visited by Fred Varley, A.Y. Jackson, Arthur Lismer, Marjorie Lismer and Mrs. Lismer, progressing right from Thomson to the right side of this photo. 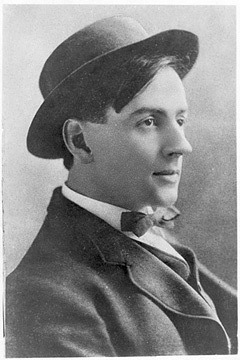 Tom Thomson died an untimely death on Canoe Lake in Algonquin Park in 1917. A.Y. 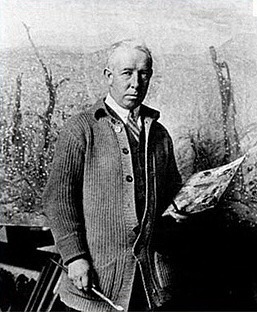 Jackson, who was born in Montreal, Quebec, was the first member of the future Group of Seven to travel north, and he did so in February 1914 to paint with Tom Thomson in Algonquin Park and along the Oxtongue River. 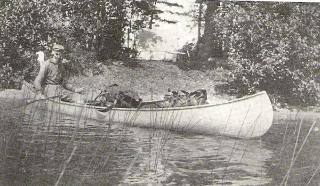 Jackson said that Thomson taught him how to stay alive in the bush…how to canoe and how to get a roaring fire going without much effort. For the rest of his life, A.Y. Jackson used the woodsman’s skills taught to him by Thomson. One of A.Y. Jackson’s most important landscape paintings is considered to be the “Red Maple”. 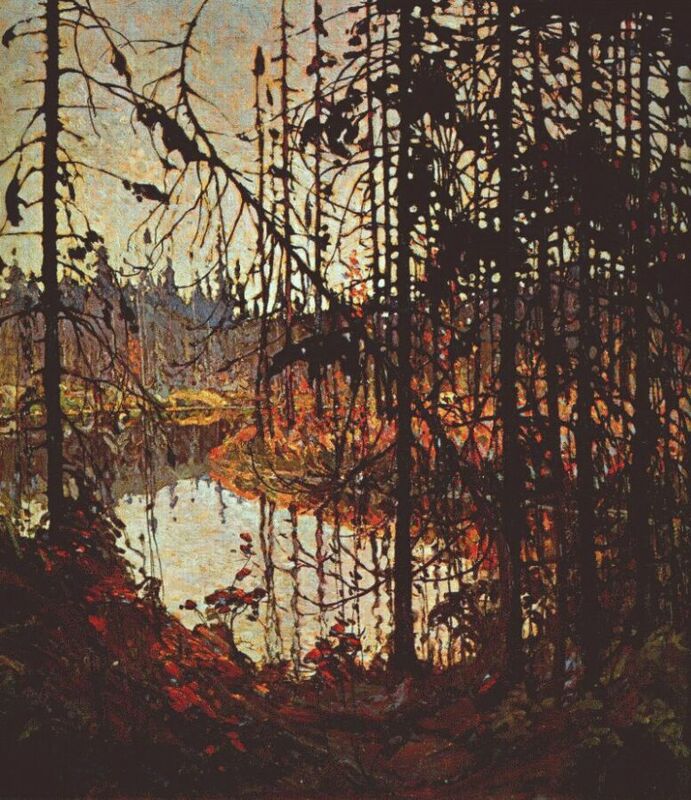 This painting, although painted in his Toronto studio in 1914, was based upon sketches Jackson did along the Oxtongue River in 1914 when he camped there with Tom Thomson. Today, the “Red Maple” hangs in the National Gallery of Canada in Ottawa, Ontario. 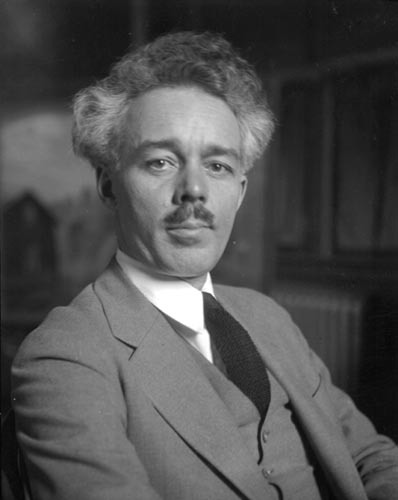 Lawren Harris was born in Brantford, Ontario. 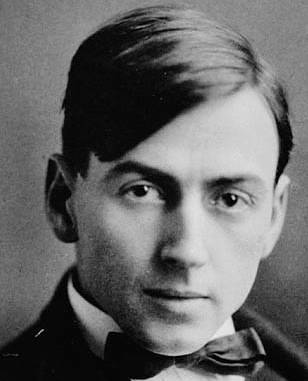 He, along with Tom Thomson and the other members of The Group of Seven, helped to give Canada its own cultural artistic identity through showcasing the country’s natural setting. A.J. Casson was born in Toronto, Ontario. 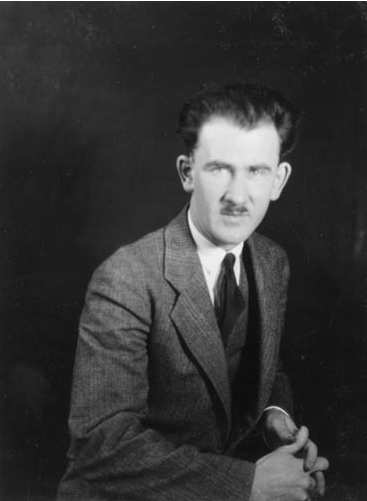 He was the youngest member of The Group of Seven. During his artistic life, he created an amazing series of canvases across Canada that celebrated the Nation’s landscape in all its various moods and seasons. Over the course of many decades, A.J. 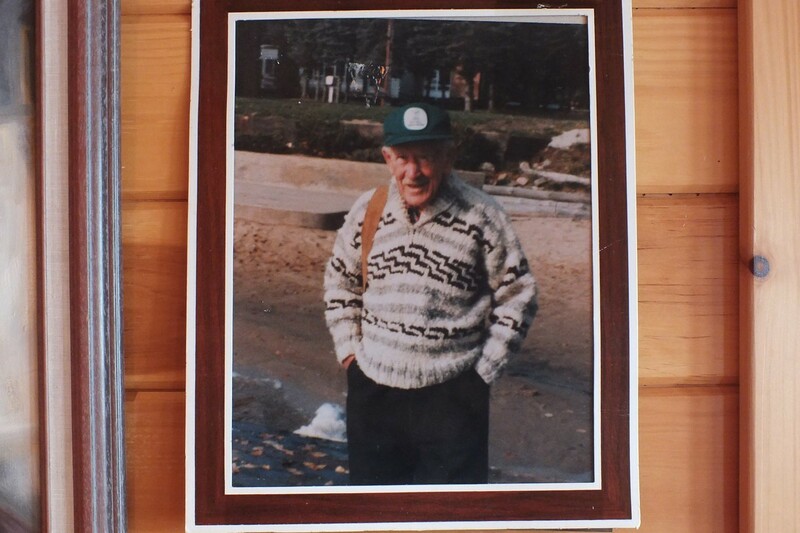 Casson was a regular visitor to Oxtongue Lake. 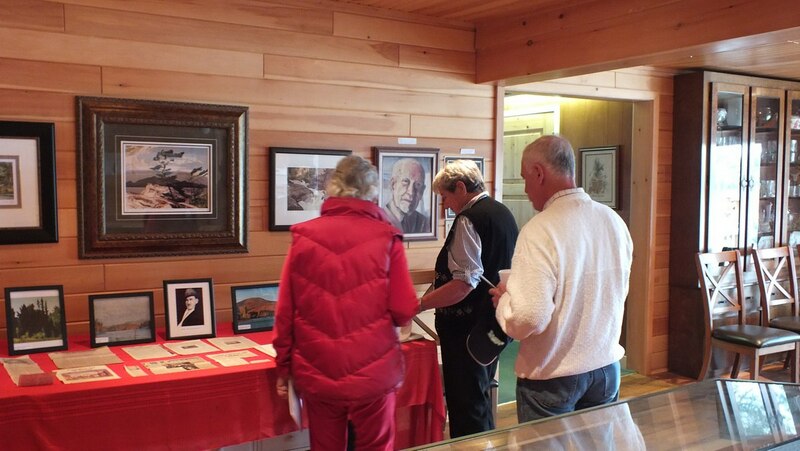 During his many visits, he sketched and painted scores of paintings featuring the landscape of Oxtongue Lake, the waterfalls and Oxtongue River. 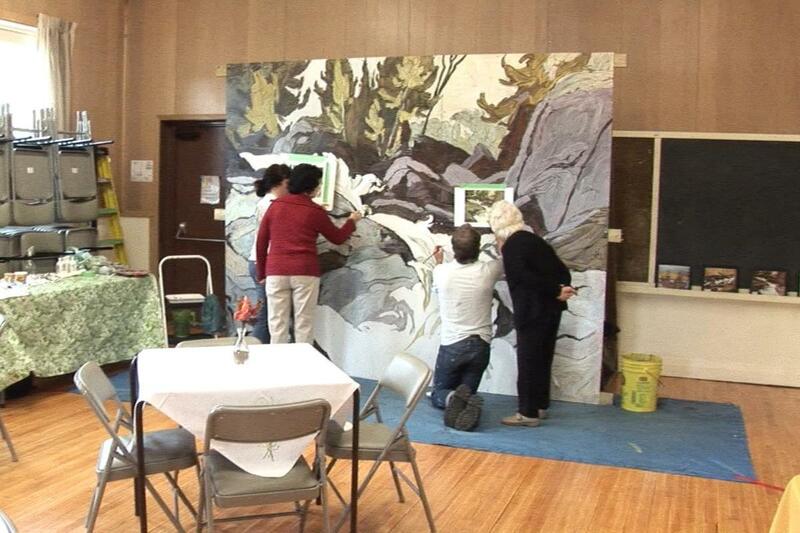 During the recent Doors Open event at the Oxtongue Lake community, many different people including local residents, travelers, and tourists dropped by the community centre to observe and to participate in the actual painting of the reproduction of A.J. 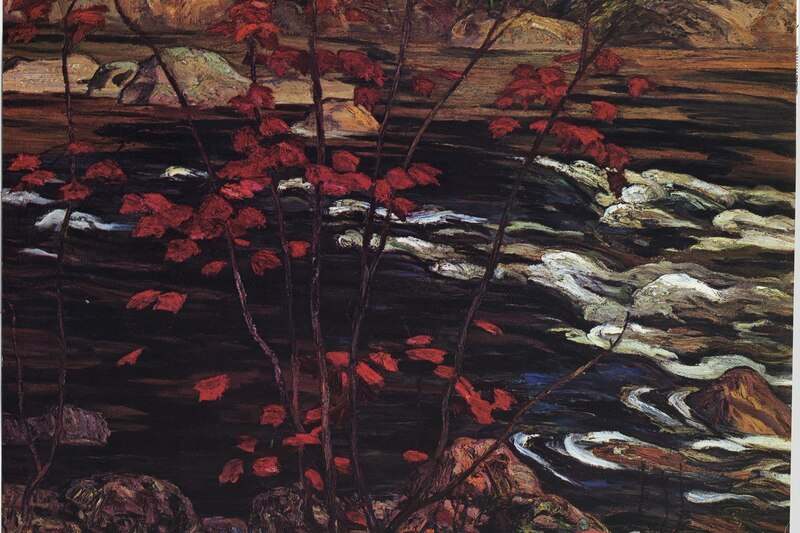 Casson’s painting “Oxtongue River” (Ragged Falls). 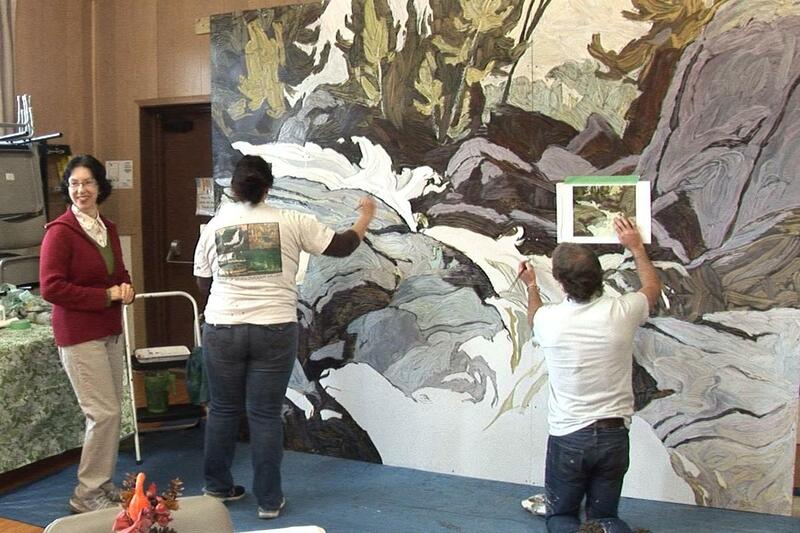 During the course of the two days, it took hours to put the finishing touches on the over-sized reproduction. 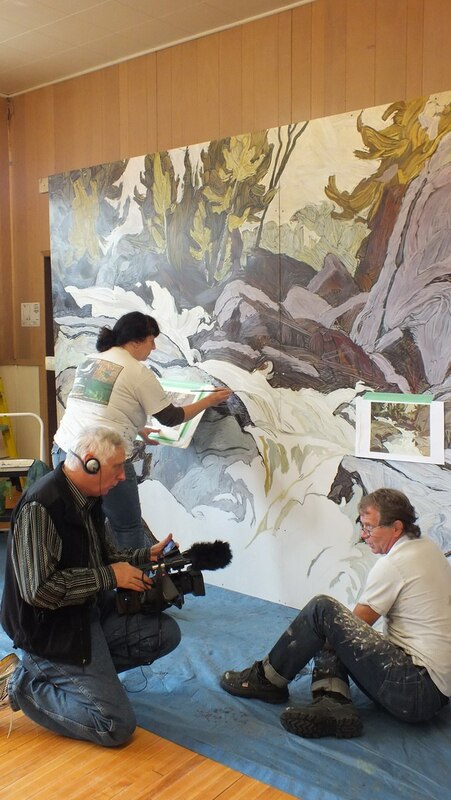 Art director, Gerry Lantaigne, and assistant painter, Janine Marson, explained that it is not easy to paint a small work of art, and as many of us found out, it was even more difficult to paint a mural when it’s on such a massive scale. 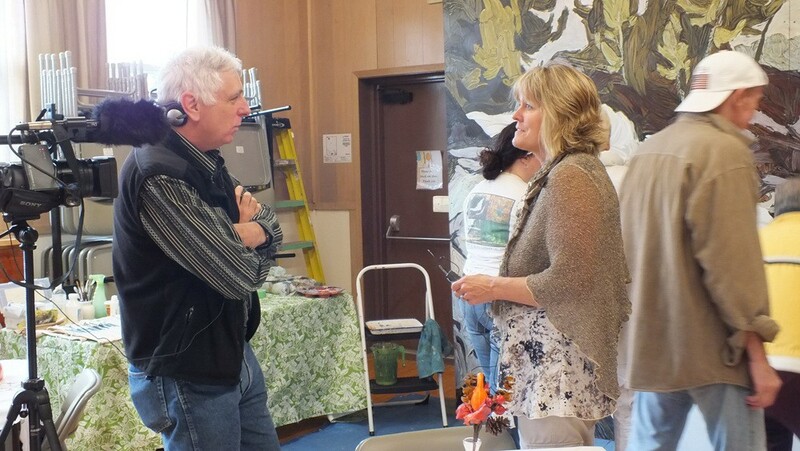 As people came and went, adding their brush strokes or watching the work in progress, Bob interviewed Marlene Kyle, the local Councillor of Algonquin Highlands. I wait patiently for my chance to add a few strokes of paint to the mural. Janine Marson gives me detailed instruction about how to use the paint to create a sense of movement in the river water. As I made my mark on the mural, my mother, Flossie, got guidance from Gerry Lantaigne in preparation for her contribution to the project. Artist Gerry Lantaigne shared his thoughts with Bob on just how important this community effort is to keeping alive the history and meaning of Tom Thomson’s and The Group of Seven’s artwork. 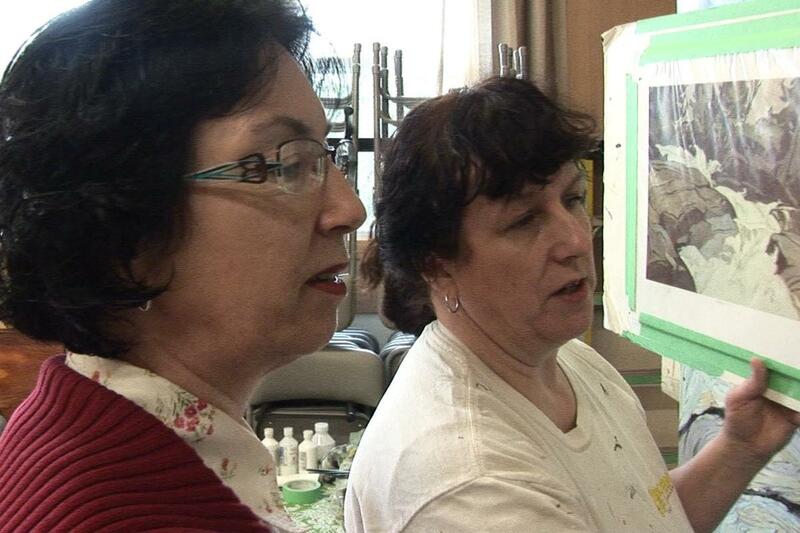 These two local residents, Joan Hayden and her son, Scott, came to add their strokes to the painting. For both of them, this was a very special moment. Many, many years ago, A.J. Casson came to stay with them at their Oxtongue Lake resort, Blue Spruce Resort. Over the following decades, Casson continued to paint the natural beauty of the Oxtongue area on yearly sojourns at the resort, usually accompanied by his wife, Margaret. During the Doors Open weekend, Joan and her son, Scott Hayden, also opened the doors of their Resort to the general public. At their resort, they shared their personal stories and artifacts from the days of A.J. Casson and his time spent at Oxtongue Lake. With his painting kit over his shoulder, A.J. Casson prepared to head out from Blue Spruce Resort on yet another painting expedition. This is one of the many cards that A.J. sent to Joan Hayden and her husband, Jack, over the years that they knew each other. 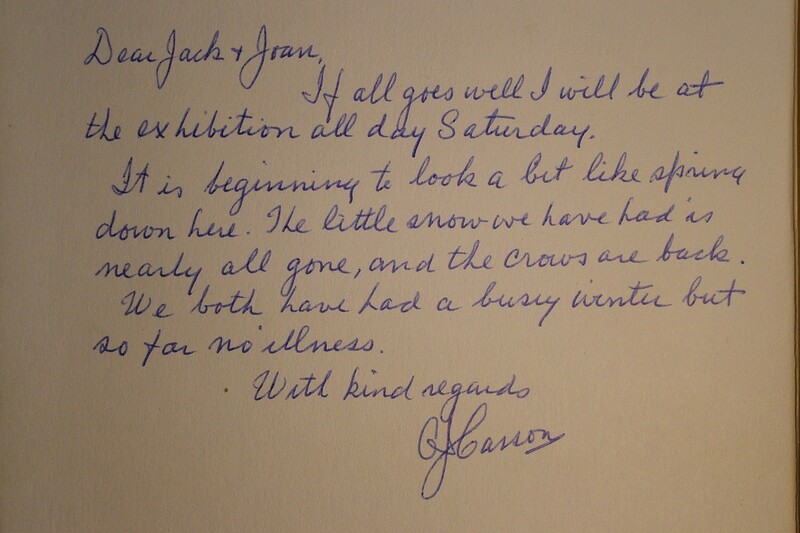 In this message, Casson speaks about crows, weather, and a hoped for success at an art exhibition. 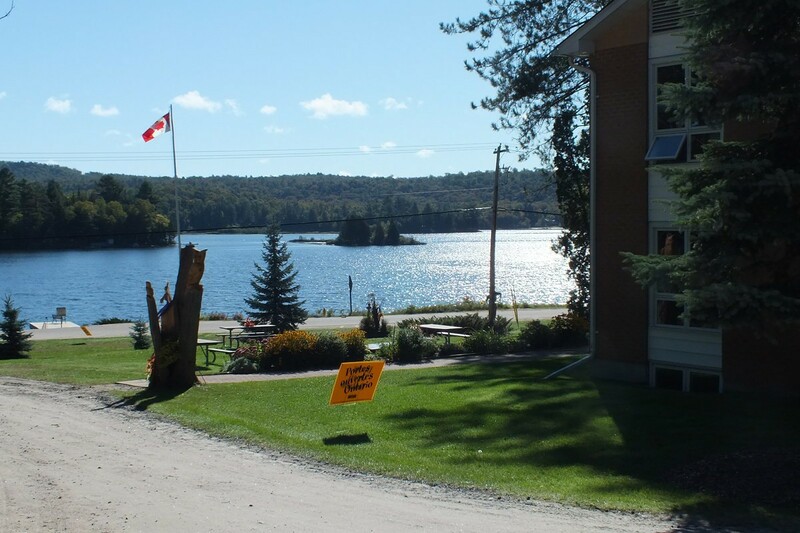 Looking out from the Blue Spruce Resort, you see a little island towards the north end of Oxtongue Lake. From the Hayden’s beach, A.J.Casson painted many different paintings including one that features this small island; he called it “Little Island, Oxtongue Lake”. At Blue Spruce Resort, a lovely “A.J. 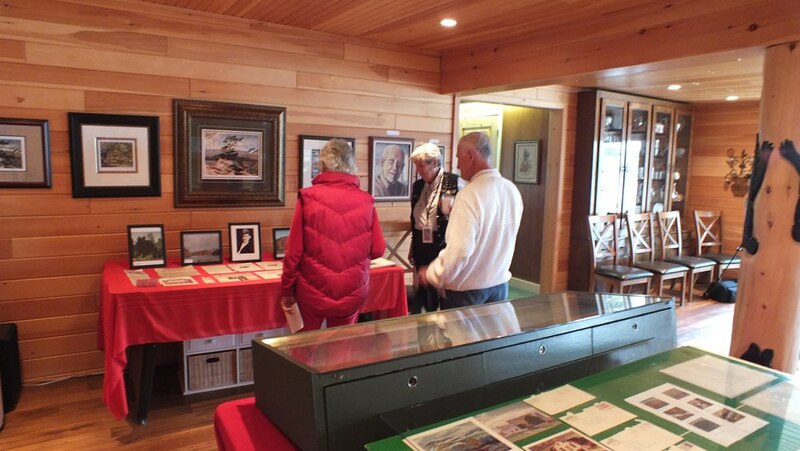 Casson collection” of letters, cards and artifacts was on display. I thoroughly enjoyed hearing Joan’s memories of times spent with A.J. 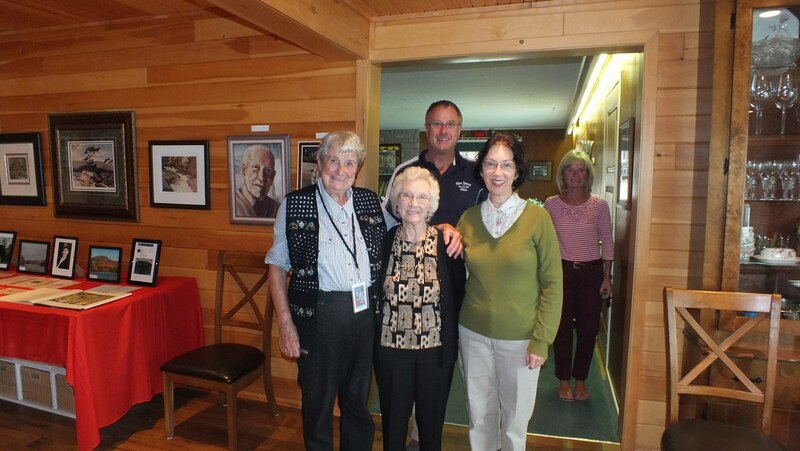 Before leaving, I had a chance for a quick picture with Joan and Scott Hayden, along with my mother, Flossie, who lives on the Lake with my father, Marvin. Over the course of the two days, Joan Hayden took the time to helpfully explain and guide visitors through her Doors Open exhibit. 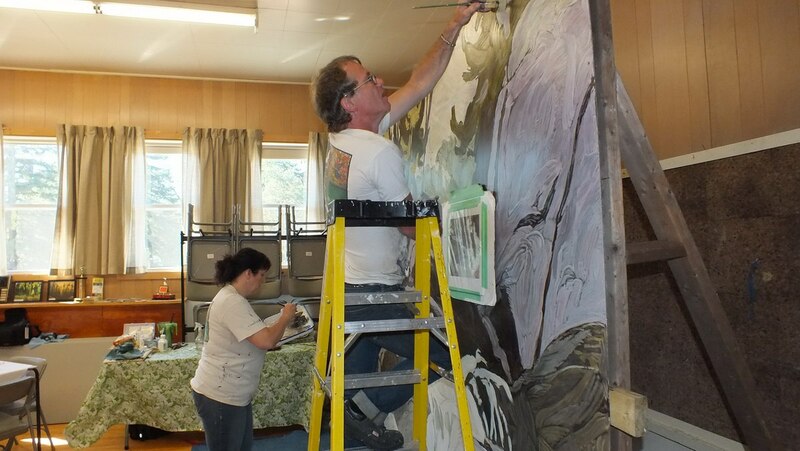 Back at the community centre, Gerry and Janine worked to put on their final dabs of paint. 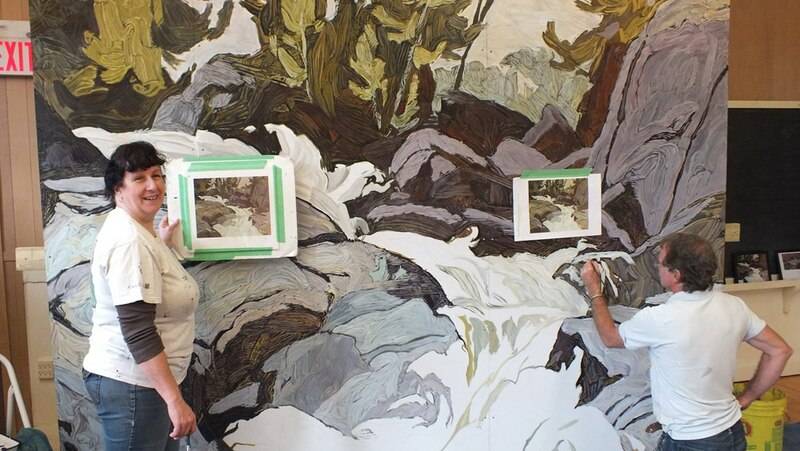 In the coming months, the Group of Seven Outdoor Gallery’s reproduction of A.J.Casson’s “Oxtongue River” (Ragged Falls) will be put on public display by the people of Oxtongue Lake and the Township of Algonquin Highlands. 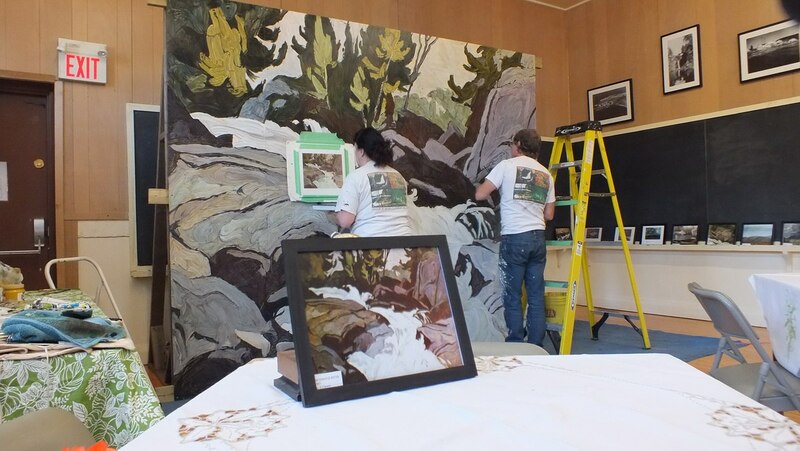 Together, they hope to continue sharing the amazing story of Oxtongue Lake, Tom Thomson and The Group of Seven with the general public. Things are progressing, but it is a slow process. The community is very excited about this new endeavor.